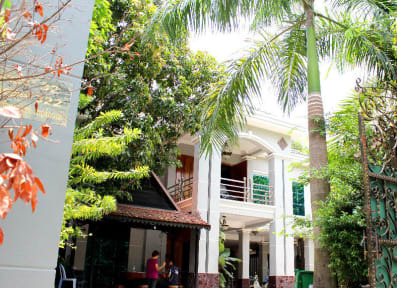 Nestled in the expat part of town, Envoy is set in an impressive spacious villa in a safe and secure neighbourhood, giving a new meaning to luxury hostels. Like yourself, we have a passion for travel and we attract like-minded travellers. Meet new friends in our spacious common room, relax in our huge rooftop terrace, enjoy our green courtyard and best of all you can cook up a storm in our common kitchen. Designed by travellers for travellers, we have tailored all our services to meet the needs of modern travellers. 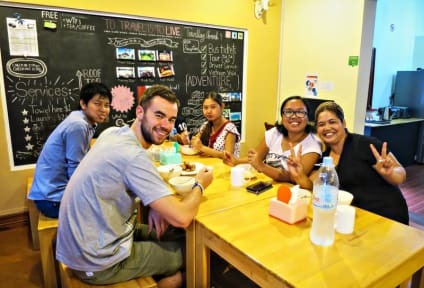 This includes Discount on tours, Free luggage storage, Free WiFi, Free guest computer, 24/7 reception service, breakfast cafe, laundry service and much more.